We are back this year with a roundup of the Summer Reading programs that are happening around the country as well as in the Pacific Northwest. We are providing the list of summer reading programs for the Puget Sound area. 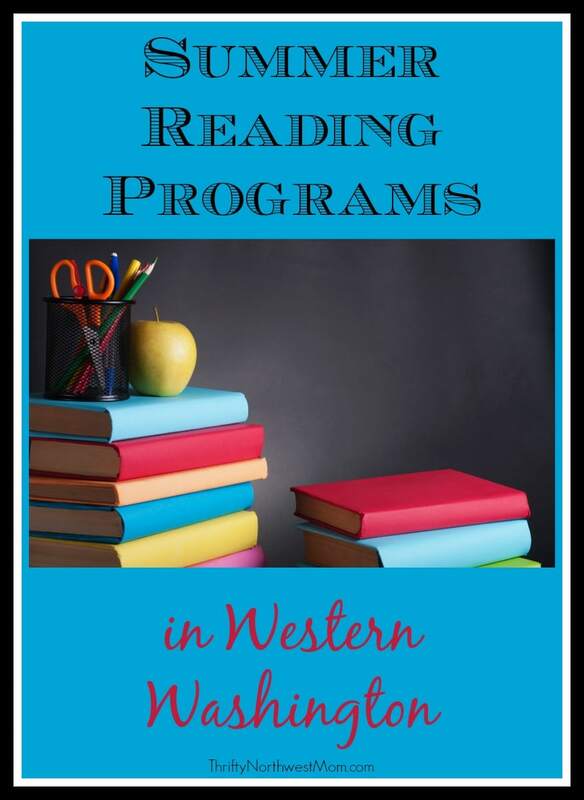 You can find the list of Oregon Summer Reading programs at Frugal Living NW. Summer reading incentive programs are a great way to keep kids motivated, stay on track with the skills they learned throughout the year & foster that love of reading they’ll carry to adulthood. If your child reads at least 8 books, they will earn a FREE book. Download a reading journal and once your child has read 3 books, completing a journal about the books they’ve read, and bringing it into a local Barnes & Noble store by September 3rd to pick out their free book. Your child can earn 10 FREE tokens every time he or she reads for 2 weeks in a row. Just fill out the form and bring it in to claim your free tokens. Limit of 1 free token offer per child per day (food purchase is required). Download a Reading Rewards Calendar. Kids 14 years and under can earn Bookworm Bucks by reading 15 minutes a day for a month in June and July. Grown-ups may read aloud to kids who are still learning to read. Track your reading on a printable reading log which must be initialed by a guardian. Once the child has reached 300 or more minutes, bring the log to your local HPB to claim Bookworm Bucks. High school students must read a book each month in June and July and write a short review instead of using a log. Redeem by August 30, 2018. Kids can log in their minutes they’ve read & earn awesome virtual prizes. This is going on from May 7th – September 7, 2018. There are a number of public libraries offering summer reading programs. Many libraries also have programs for kids ages birth- 5 (preschool group) & for teens as well. King County Library System – Starts June 1st. Be a reading champion and earn a medal with fun in-library programs and online activities for children birth to 5th grade. Download or pick up a Reading Log and keep track of your minutes. Preschoolers (ages newborn-5 years) will earn a prize when they have completed 5 activities. Elementary (ages 5-12) can earn a halfway prize by reading 500 minutes, and a KCLS Summer Reading Champion Medal by reading 1,000 minutes! Teens can earn prizes for reading and completing activities on their log. Prizes are available July 16th through August 31st with your reading log. Seattle Public Library – Begins June 27. The Seattle Public Library’s Summer of Learning Program this year is Make a Splash! Pick up a free Mission Log with fun activities. Earn a fun prize by reading 20 minutes a day for 8 days and completing 2 activities. Pierce County Library – Program officially runs from June 23rd – September 2nd (you can download or pick up your materials & start earlier than that though – we picked ours up the week of June 1st) ; For ages babies and toddlers, complete the footprints on the chart by attending library events and reading with your child. Mark all the stars and receive a prize at the library. For kids ages 4-18, receive prizes for every 5, 10, and 15 hours of reading time. Once your child has read 10 hours, they will receive a coupon for $5 off library fines. There are additional learning opportunities for more chances to win sweepstakes + parent sweepstakes to enter to win a parent’s prize. Pierce County Library Teen Summer Challenge Program – Starts June 23rd. Teens ages 13+ can challenge themselves to explore your interests, your library, and your community through a variety of activities that offer something for everyone! Anyone can register and participate, but to earn prizes you’ll need to be a teen with a valid Pierce County Library Card. Tacoma Public Library – Signups to start reading begin on June 1st. The program will run from June 1st through August 11th. Read, listen, and create, and play bingo to earn your reading points. Readers who complete their bingo cards can bring them into the library to collect your prize and fill out a raffle entry as well. Puyallup Public Library – Registration has already begun and runs from June 1st to August 11th. Register you or your whole family. After you’ll be checking off activities you’ve done, books you’ve read, and more. You’ll receive different prizes along the way. Sno-Isle Library System – Reading program beings June 1st and you can register online or in the library. Read books, fill up your reading log. Then bring in your completed log to choose a free book as a prize. Everett Public Library – Pick up a reading log at either Everett Library any day between June 1st and July 31st. Contact the library for more in depth information on the program. Adults even have a challenge too! Mount Vernon Public Library – Read books and earn prizes! Sign up in the library beginning June 1st through July 11th. Children that complete their reading goal can go to the Multipurpose Room at the library to receive a free book. City of Burlington Public Library – Beginning June 4th through August 4th, printable reading logs are available for Babies (0-35 months), Kids (Ages 3-Grade 5), Teens (Grade 6-12) and even Adults. Babies (0-35 months) can earn points by being read to or by doing pre-literacy activities with you. For every 10 objects crossed off on the list, your little one receives a prize. Program ends August 4th. Kids (Age 3-Grade 2) Must mark off 1 block for each book they’ve read. Complete 10 activities by June 30th to win a book. Tweens (Grade 3-5) have to read 20 minutes a day/120 minutes a week to get the weekly prize. Complete 10 activities by June 30th to win a Geode. Teens (Grade6-12) They can attend teen events to earn food and other prizes. Enter a book review in the prize box of their choice for a chance to win. 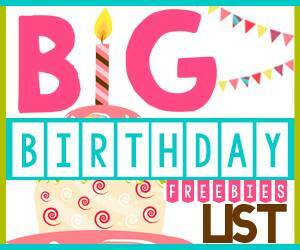 Completely 20 of the 42 challenges by August 4th to win a book. Adults can enter a Summer Reading Prize Drawing by checking out 45 total books. Anacortes Public Library – Register for this year’s summer reading program between June 1st through August 31st. Sign up online through the Anacortes Public Library or at the library. Kids from birth to age 18 can sign up and track their reading through the printable journal. Once the reading goals have been reached, they can choose a free paperback. Upper Skagit Library District – The program starts June 16th and runs through August 4th. Kids ages 0-17 can earn prizes during this year’s Summer Reading Program. Sign up and pick up a packet at the library and color in a reading log for every 20 minutes you read. Read and report at least 800 minutes by August 25th to earn a free paperback book. Each reading log enters you into a special prize drawing. There are several free activities happening all summer long as well. La Conner Library – There are lots of great activities, events, and books available now! Check out the website for more info on activities or stop by the library for more information about the summer reading program. Whatcom County Library – On Your Mark, Get Set, Read Summer Reading program runs from June 1st through August 31. Sign up anytime at your local library. School-age kiddos and teens set their own reading goal which they track on the Book Bingo card. Once the goal has been met, receive your choice of a Summer Reading Reward Book. Early readers can spend their summer reading books and completing activities that you can track on the Book Bingo card for Early Learners. Complete 5 or more Early Literacy activities and receive a Summer Reading Reward Book! Bellingham Public Library – On Your Mark, Get Set, Read is happening now through August 31st. For early readers, print an activity sheet from home or get one at your library. Complete the activities and receive a book from the library and Summer Reading Superstar yard sign! Students through the Bellingham schools will receive their bingo card from the school librarian. Kitsap County Library – Now through August 31, participate in On Your Mark, Get Set, Inspire! Read 10 hours and get a prize! Read any book that you want! If 10 hours is an easy goal for you to meet, read 100 hours and get a limited edition t-shirt! You can also receive a prize by getting inspired to reach a goal for which you can enter to win one of the amazing prize baskets! Timberland Library – As soon as school is out, sign up for Libraries Rock! Sign up in your local library or register online. Complete reading logs and activity sheets for rewards! There will be lots going on at the library including free entertainment (Vikki Gasco Green, Puppets, and ventriloquist), activities, and prizes! North Olympic Library System – Libraries Rock Summer Reading Program runs from June 16th to August 20th. Ages 3-12 can sign up and complete 14 hours of reading (read or be read-to). Just sign up when registration opens to earn a free book! You decide and set your reading goals. Read or be read to 15 days to earn a ticket entry for one of the prizes. Read 30 days to earn a special t-shirt! Readers who participate have the option of winning four different prizes including a whale watching tour, an airplane flight from Rite Brother’s Aviation, a Lego set, or a gift to a local restaurant. These prizes are for kids, teens, and adults! Jefferson County Library – Exercise your mind and your body during the summer reading program beginning June 15th through August 31st. When you sign up you’ll receive a book, then after you read 10 hours you’ll receive another book. Every 5 hours children read earns them 1 entry into a contest for prizes. Earn a t-shirt once 100 hours have been read. 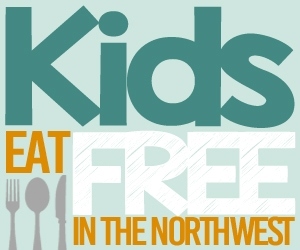 Northwest Frugal Fun in the Summertime – this is a page filled with ideas on frugal summer kids activities, Northwest Park reviews, travel around the Northwest & more! If I have missed any local library programs, please leave a comment so I can add it to our list! Please add the Orcas Island Library to your list of summer reading programs. Shop Disney Deals for Disney Merchandise (Shirts, Ears & Much More)! Great Disneyland Snack Options, Including Healthy Snack Food Options! Build A Bear Workshop Sale – $5 Birthday Bear & $8 Bunnies & more! Top Daily Deals – Best Online Deals Available Right Now!